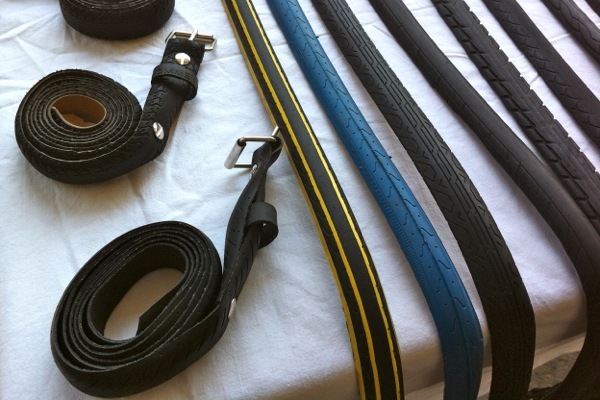 Belt choices for vegans are pretty limited so what a fantastic idea to recycle old bike tyres. We spotted these non-leather offerings in Bristol at a Sunday market stall alongside the floating harbour. Fifteen quid for your choice of slick or knobbly, in all variety of widths and even a few colours.